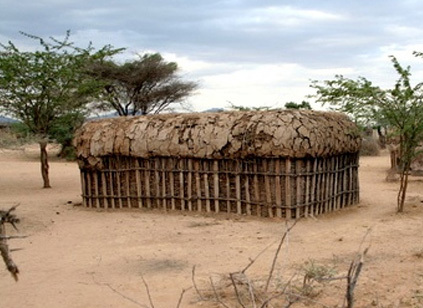 In the Samburu district of Kenya, near Archers Post, lies a village of women’s dignity – Umoja. It is a refuge for victims of domestic violence. 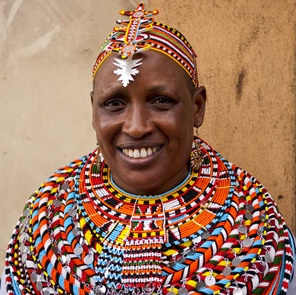 Normally pastoral cattle herders, Samburu matriarch Rebecca Lolosoli has started a business to make the complex beaded necklaces and headdresses for which the tribe is known. 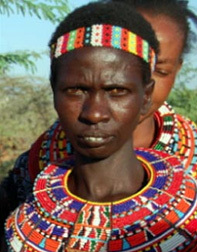 The Samburu knit with small, brightly colored beads, weaving complex patterns and ideas in layers. Round silver coin-like beads are attached to the headdresses, as are larger center ornaments. Ms. Lolosoli’s jewelry showcases the highest level of skill. With jewelry, she and her village are fighting for the right to be untouched by violence. Umoja is part of Nicholas Kristof’s Half the Sky Movement. A woman has a right to an education; own a business; make decisions; and not be raped, shot, or promised into marriage as a child. Ms. Lolosoli also fights female circumcision. Instead of growing older with eyes that have seen untold horrors, in Umoja, a young woman can glow with pride. Thank you very much, Barbara – very much worth knowing about!